People love chocolate. Chocolate bars, chocolate fudge, chocolate cake, hot chocolate—no matter which way it comes, everyone wants to get their fix. In fact, Americans alone consume about 2.8 billion pounds of the sweet stuff every single year (nearly 11 pounds per person), which is half of the world’s supply. 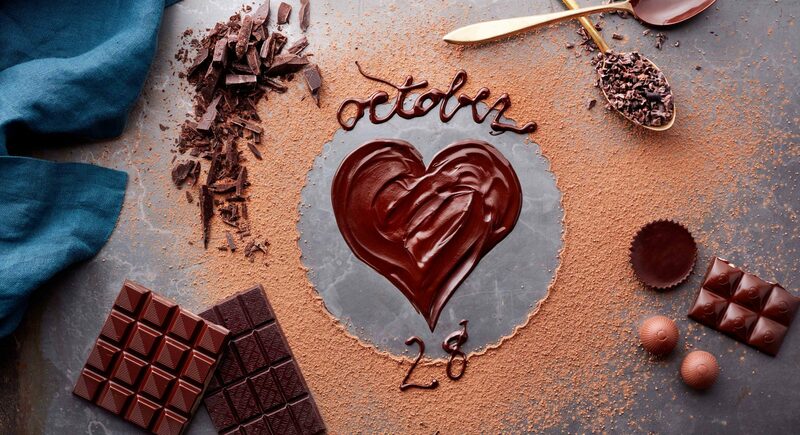 So, it’s no surprise that chocolate would get its own holiday. Every year, on October 28, National Chocolate Day is celebrated—a day not only to enjoy this delicious treat, but appreciate how beneficial it really can be as science continues to explore the many different ways that chocolate impacts health and wellness. 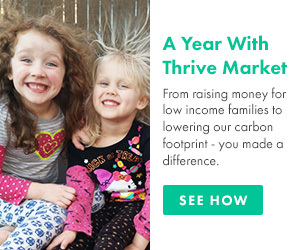 The day itself was created by the National Confectioner’s Association to help promote the different types of chocolate that are available—it’s not all just sugary candy bars. Throughout the country, many events occur during the holiday: Pastry chefs often perform cooking demonstrations with gourmet results, confectioners offer samples of the latest hybrids, and online chocolate retailers announce special programs to give everyone a taste. You can also enjoy National Chocolate Day from the comfort of your own home with a number of special recipes that let you experience the real magic of cacao—don’t be afraid to indulge, since it can actually be good for you. Before you go out and stock up on a bunch of bars from the candy aisle, it’s important to know that not all chocolate is created equal. In general, it’s dark chocolate that’s best. Dark chocolate is a pure form of the treat, sourced direct from the seeds of the cocoa tree with minimal processing; unlike milk chocolate or white chocolate, it isn’t filled with sugars and other artificial sweeteners that try to cut away at cocoa’s natural bitterness. While that doesn’t mean that running out and eating two big bars of dark chocolate is a great way to supplement nutrition, there’s no guilt in enjoying what used to be deemed a guilty pleasure. The antioxidants and flavanols (plant-based nutrients) found in cocoa can be especially nurturing for the human body in many ways. Flavanols can help to stimulate the arterial lining of the heart and improve the production of nitric oxide. This in turn can help the arteries relax and widen. In doing so, dark chocolate can actually help to improve overall blood flow and lower blood pressure. The results are mild, though, and chocolate can’t replace blood pressure medication. Antioxidants are more than just a popular buzzword. They have a very important job of helping to prevent the impact that free radicals can have on damaging the body’s cells. Dark chocolate has a good concentration of antioxidants—studies have found that dark chocolate actually contains more antioxidants than many other foods, making it a great source for this defensive power. The antioxidants in cocoa have also been seen to decrease levels of oxidized LDL cholesterol (the “bad” kind of cholesterol) in men and can help increase “good” HDL levels. Reducing LDL levels can help to prevent clogged arteries and improve heart health in the process. This could also lower the risk of stroke. Just 45 grams of chocolate a week could be enough to vastly reduce the risk. The flavonols found in cocoa can also help increase blood flow throughout the skin, according to some research. When this occurs, it also increases the overall level of hydration and density of the skin, and in some ways can help provide a better defense against the harmful rays of the sun. It won’t guard you from getting sunburned or protect against skin cancer (so keep using your SPF! ), but it could help protect against signs of early aging brought on by the sun. Another win for flavanols is their positive effects on brain performance. When blood flow is increased to the brain, it can help you feel more alert and awake (just like caffeine)—and that can contribute to better mental acuity. The antioxidants found in dark chocolate can also help to reduce insulin resistance and increase insulin sensitivity within the body. The opposite can be risk factors for developing diabetes, so consuming dark chocolate could have a direct impact on preventing the development of this disease—and in effectively managing its symptoms. It’s important to note that dark chocolate shouldn’t be considered a valid replacement for getting medical help for health problems related to any of the above issues. However, science continues to find new and exciting ways that chocolate could help give a boost to health when combined with a healthy diet and lifestyle modifications. It’s just one more reason to really enjoy National Chocolate Day. While you could just pick up a rich chocolate bar to celebrate the holiday, there are some other creative recipes that you can make at home that show how versatile this treat really is. 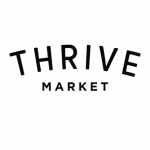 Here are some of Thrive Market’s favorites. Love Nutella? Then you will love these chocolate hazelnut bites that prove this pairing is beyond compare. The bites are made from a mix of hazelnuts, cashews, rolled oats, coconut flour, and medjool dates and maple syrup to sweeten it up. Then, a silky coating of dark chocolate is poured over and chilled before serving. Top with cacao nibs for even more chocolatey goodness. Warm, melted chocolate never tastes better than inside a flaky pastry crust. This braid is easier to make than it looks (and it looks stunning when done!). Grab some almond flour, tapioca flour, coconut sugar, butter, eggs, and a bar of chocolate of course. Then add some slivered almonds on top for some extra texture. Everyone deserves a piece of chocolate cake, but sometimes the ingredients make that impossible for those with restrictive diets. This vegan recipe comes to the rescue—it eliminates milk and eggs to that plant-based eaters can enjoy their cake, too. Instead, the chemical reaction of apple cider vinegar and baking soda causes the dough to rise and expand, resulting in a light-as-air texture. Top with berries for some extra tartness. Chocolate-covered bananas are a classic treat, but this creative recipe takes it one step farther. These “mini pops” offer banana bites, topped with a dollop of peanut butter and covered in rich chocolate before being dipped in chopped peanuts for the perfect finish that will have you wanting more (and that’s okay since they are pretty healthy!). For another frozen treat, try chocolate shell topping on your favorite ice cream dishes. Also called “magic shell,” the products sold on store shelves often have added sugars and preservatives. But this recipe uses just two pure ingredients—dark chocolate and coconut oil. Use it on sundaes or homemade ice cream bars. Get an antioxidant boost with this healthful dessert recipe. Baking a cake with olive oil introduces a good amount of healthy fats and vitamins to each slice, while a topping of delicious chocolate ganache doubles the nutritive value and provides an unforgettable flavor (the fresh rosemary and orange zest help, too). Aquafaba is a fancy word that takes the liquid from a can of chickpeas and whips it into a consistency not unlike egg whites. The trend makes anything from meringues to whiskey sours instantly vegan. And it can also be used in recipes like this to create a plant-based chocolate mousse. Just grab some dark chocolate, vanilla extract, and cacao nibs to amp up the flavor.